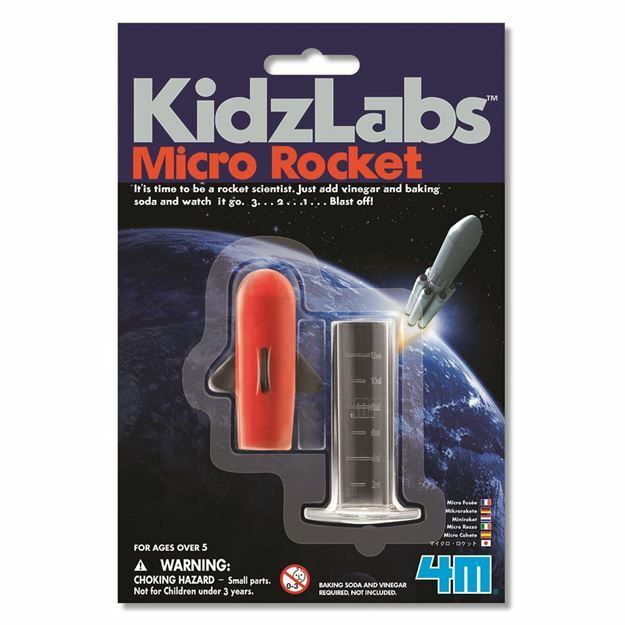 It's time to be a rocket scientist with 4M. Just add vinegar and baking soda to this rocket and watch it go. 3, 2, 1, blast off! Includes: a foam rocket and launcher. Age 8+ years. Part of the KidzLabs range. Distributed in New Zealand by Holdson.